Jump At The Sun, 9781368019439, 192pp. Maleeka suffers every day from the taunts of the other kids in her class. If they're not getting at her about her homemade clothes or her good grades, it's about her dark, black skin. When a new teacher, whose face is blotched with a startling white patch, starts at their school, Maleeka can see there is bound to be trouble for her too. But the new teacher's attitude surprises Maleeka. Miss Saunders loves the skin she's in. Can Maleeka learn to do the same? Sharon G. Flake has an international reputation as a top author for children and young adults. 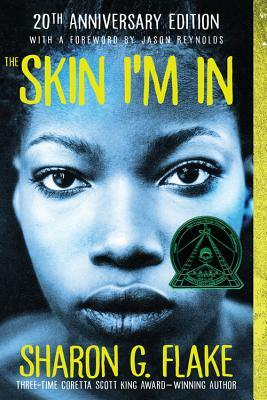 Her breakout novel, The Skin I'm In, established her as a must-read author among middle and high school students, parents, and educators. She has spoken to more than two hundred thousand young people, and hugged nearly as many. Flake has penned nine novels, numerous short stories, plays, and a picture book entitled You Are Not a Cat. Her work has received numerous awards, such as the Coretta Scott King Honor award and the YWCA Racial Justice Award, and her books have been named to many prestigious lists, including Kirkus Review's Top Ten Books of the Year, Best Books for Young Adults by the American Library Association, Top Ten Books for the Teen Age by the New York Public Library, Top Twenty Recommended Books to Read by the Texas Library Association, 100 Books Every Teenage Girl Should Read, and Booklist Editor's Choice, among others. She lives in Pittsburgh, Pennsylvania. For more information, go to sharonflake.com, or follow her on Twitter @sharonflake. "Flake's debut novel will hit home . . . echoes universal brink-of-adolescence concerns." "Funny and clever . . . will pull readers into a world too rarely represented in middle-grade fiction." "Young teens will appreciate Flake's authenticity."